If you are a Montana technology entrepreneur and have a start-up question, we want to help you. 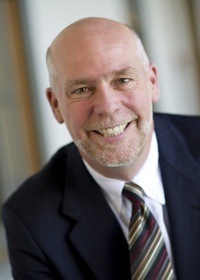 If you have not already done so, we encourage you to read Greg Gianforte’s book entitled Bootstrapping Your Business. Greg wrote it specifically for people starting businesses, and it will likely answer many questions you have. For a free copy of the book, contact us and we will send one your way. If you still have a question after reading the book, just send it to us and we will do our best to answer it. You can go here for information on how to contact us. The Summit Circle is a high-intensity growth accelerator for high-tech firms. Members are an elite group of start-ups committed to rapid growth and job creation in Montana. Acceptance into the group provides members with access to expert mentors, strategic planning services, leadership training and, as appropriate, introductions to sources of capital. There are no fees to join the Circle, however, admission is highly selective and on an invite-only basis. Preference is given to firms that can benefit from the services provided and are deemed to have the highest potential for rapid growth. The Summit Circle is designed to maximize growth and job creation for participants. Services are tailored to the growth stage of each firm. Delivery of the services is flexible depending on the needs of each respective business. An extensive network of marketing, sales, development, and finance experts who have “been there, done that.” Nothing beats talking to someone who has faced the problem you are currently facing in order to find perspective and a path forward. Periodic coaching sessions. Typically monthly or as needed, these are very informal question and answer sessions driven by your needs. Strategic planning sessions. These multi-hour planning sessions, using SWOT and OGSM methodologies, crisp up your strategy and help you set very specific growth goals. Recruiting assistance. Getting the right people on the bus is always step one. We help members with setting hiring criteria and interviewing, and we provide access to our network’s contact list. Networking with other members. Having a peer network can be extremely useful to bounce ideas around and to encourage one another. Occasional events allow Innovators to blow off steam and celebrate successes. Access to capital sources. Although we are firm believers in Bootstrapping, sometimes entrepreneurs want to raise money. We can help with introductions. Working diligently toward revenue growth that will create high-wage Montana jobs. Quarterly planning meetings with your advisor and your leadership team. One-hour monthly business updates with your advisor. Being an advisor to others in the program once you graduate from the Summit Circle. The Summit Circle advisors are Montana-based leaders that believe passionately in the development of globally competitive growth companies and high-quality jobs based in Montana. Advisors are committed to leveraging their experiences, expertise, and networks to assist local visionaries and innovators transform their ideas into professionally managed, high-growth, high-quality companies. Greg Gianforte is a serial software entrepreneur. He founded RightNow, his 5th successful software start-up, in Bozeman in 1997. The business grew to over $225M in annual revenue and 1,100 employees. It was Bozeman’s largest commercial employer and Montana’s only publicly-traded technology company before being sold to Oracle in 2012. Greg was named Ernst and Young Entrepreneur of the Year for the Pacific Northwest and has lectured about Bootstrapping at Harvard Business School, Cornell School of Business, Stanford, Stevens Institute of Technology, MSU, U of M, Berkeley, Marquette, London School of Business, and many other venues. 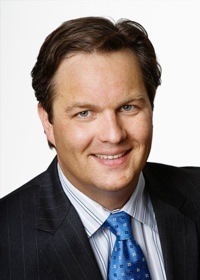 David Vap is Group Vice President, Oracle Applications at Oracle. A 20-year veteran of the technology industry, Mr. Vap joined Oracle through the acquisition of RightNow in 2012. At RightNow he was the Chief Solution Officer, where he led product strategy, product management and product marketing. Prior to RightNow, Mr. Vap served as Vice President of Sales and Marketing at Software AG. He also spent time at content management vendor Artesia Technologies as the Vice President of Products, where he was responsible for product management, development and quality assurance. Before joining Artesia, he founded and ultimately sold a professional services company that focused on packaging solution offerings built using a CASE tool environment.